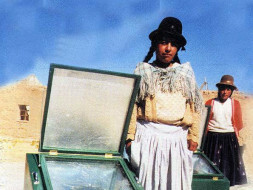 Proposed project aims to distribute about 25 solar cookers among underprivileged and poor households. After distribution of solar cookers among underprivileged and poor households, a comprehensive survey will be conducted. This survey will cover demographics, fuel use, time collecting fuel, cooking practices including those associated with the solar cookers, self-reported respiratory symptoms for respondents and their children, and cooking-related symptoms for respondents. At those households, information on the cooking structure, time spent cooking lunch, and types of fuel will also be collected. Primary data will be selected on the basis of household survey. Many households suffer the ill effects of traditional stoves. Indoor air pollution is associated with respiratory infections such as pneumonia, lung cancer, bronchitis and emphysema, weakened immune system, and reduced lung function, and chronic obstructive pulmonary disease. There are also growing evidence that indoor air pollution may cause low birth weight, cataracts, lung cancer, otitis media (ear infections), and tuberculosis. Solar cooking is often considered “a solution looking for a problem”. Solar cookers have long been presented as an interesting solution to the world's problem of dwindling fuel wood sources and other environmental problems associated with wood fuel demand for cooking. The use of solar cookers resulted in appreciable fuel and time savings as well as increased energy security for households. In addition to health problems, traditional stoves can also lead to burdensome fuel costs. By profession, I am Assistant Professor (Environment) at Administrative Staff College of India, Hyderabad. This is my first attempt for crowd funding. 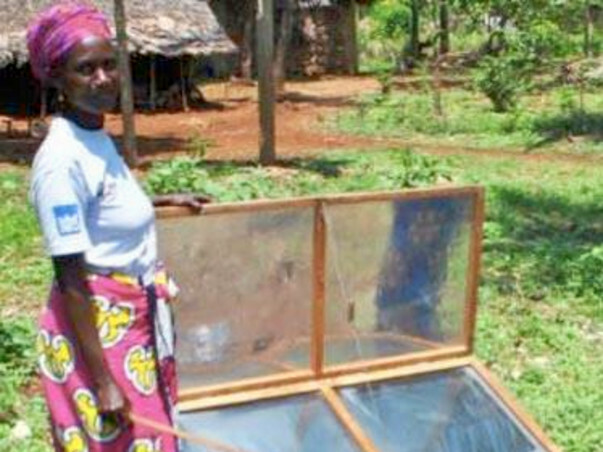 Solar Cooking does not need any fuel/wood. There is no air pollution. No production of green house gases. I was fascinated by these benefits. Hence, I took up this task.